You take pleasure in the little luxuries: A relaxing bubble bath, a hot fudge sundae, a long walk with a friend. 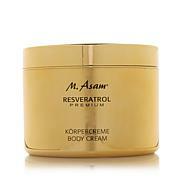 So why not let your skin luxuriate in this silky body cream. Made with jojoba and macadamia nut oils, the moisturizing formula helps leave your skin feeling smooth and supple. After all, everybody deserves the chance to indulge. Ingredients: Aqua (Water), Octyldodecyl Myristate, Caprylic/Capric Triglyceride, Polyglyceryl-6 Distearate, Pentylene Glycol, Glycerin, Simmondsia Chinensis (Jojoba) Seed Oil, Cetyl Alcohol, Decyl Oleate, Microcrystalline Cellulose, Acacia Decurrens/Jojoba/Sunflower Seed Wax/Polyglyceryl-3 Esters, Macadamia Ternifolia Seed Oil, Glyceryl Stearate, Sodium Stearoyl Glutamate, Helianthus Annuus (Sunflower) Seed Oil, Lupinus Albus Seed Extract, Lecithin, Soy Isoflavones, Tocopherol, Parfum (Fragrance), Xanthan Gum, Cellulose Gum, Disodium EDTA, Ethylhexylglycerin, Alcohol, Sodium Hydroxide, Geraniol, Citronellol, Phenoxyethanol. I am blown away with this product. I have seen results within a few days. I have creepy sagging arms. My skin is soft and appearance smoother. I was hesitate in buying another product and having it not work. I used this on my face too. It has diminished deep wrinkles to more softer. My neck lines don't look as deep either. I have this auto ship and with continued use I am confident results will be amazing. Thank you so much! Been using M. Asam products every since he came to HSN, his products works for me, face, body, and the deals are great, keep up the good work. 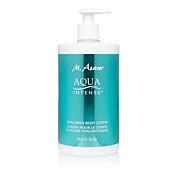 Really enjoy using the M.Asam products! This collagen boost is very moisturizing without being greasy! Nice soft scent too! I have on autoship and happy that I do! Thanks M.Asam team! I love this cream My skin is so soft. I love the scent! Keep it coming. My container was not watery at all. Creamy and your skin tells you thank you for loving me!